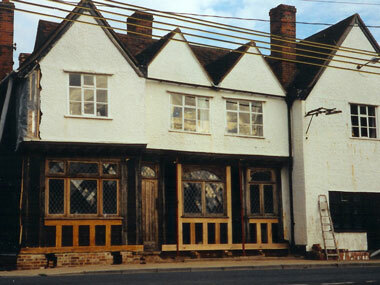 We first worked at the old Kings Head in Benton Street, Hadleigh in 1996, returning several times as repairs came up. 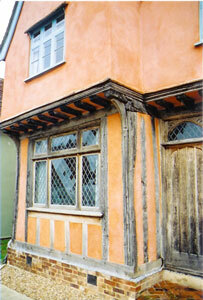 The building was a run down pub until the mid 90's when it became a family home once again. 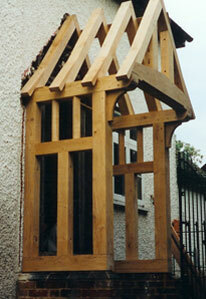 Some framing elements were rebuilt where they had been removed during it's life as a pub. 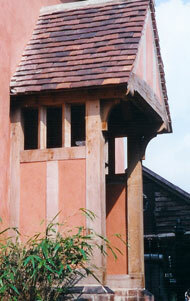 Once the repairs were completed we added a new porch to the side entrance.